Bill Schneider is a political analyst and commentator best known for his coverage of inside-the-Beltway politics. 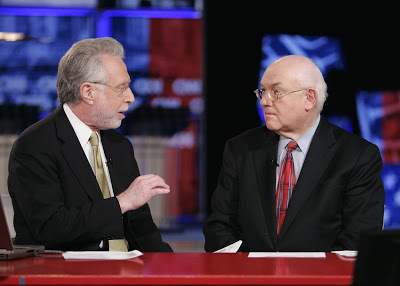 He gained national recognition as CNN’s senior political analyst from 1990-2009, earning such epithets as "the nation's election-meister" (from Washington Times), and "the Aristotle of American politics" (from the Boston Globe). Today Schneider is a senior fellow at Third Way, a Wall-Street linked Democratic think tank reminiscent of the Democratic Leadership Council, and a professor of public policy and international affairs at George Mason University. A former fellow at the American Enterprise Institute and the Hoover Institution, Schneider has experience working in the neoconservative policy community. However, unlike his more ideological peers, Schneider seldom engages in straightforward issue advocacy, preferring instead to discuss policy issues in terms of their implications for electoral politics or Beltway political discourse. However, on many contemporary foreign policy questions, Schneider has been more circumspect, acknowledging both the geopolitical complexities and (more commonly) the domestic political complications surrounding questions of U.S. action without appearing to endorse any particular course. More focused on politics than policy, Schneider is often regarded as an “expert” whose credentials have been padded. “As journalist Lawrence Soley observed in 1990, think tanks have created their own 'research' journals to help mask 'the academic anemia' of their own researchers,” noted a 1997 report from the National Committee for Responsive Philanthropy. “Noting that these 'journals bear names that closely resemble those of legitimate journals,' Soley states that they have produced what appears to be impressive credentials for their policy staff. At the time that Soley wrote, AEI's [Bill] Schneider, for example, had published 16 articles in the Institute's Public Opinion, but not a single article in Public Opinion Quarterly, a respected journal of social science published since 1937. Yet, Soley states, Schneider became one of the most 'sought-after' political pundits, appearing 72 times on network news programs between 1987 and 1989. He also served as a regular political commentator for National Public Radio's 'Morning Edition' during the same time period." CNN, "Anchors and Reporters: Bill Schneider,"https://web.archive.org/web/20090414033204/http://cnn.com/CNN/anchors_reporters/schneider.bill.html. 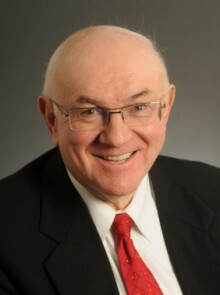 Third Way, “Third Way Staff: Bill Schneider,” http://www.thirdway.org/staff/27. George Mason University, Bill Schneider bio, https://web.archive.org/web/20140514075836/http://policy.gmu.edu/about-us/faculty-staff/directory-of-faculty-staff/bill-schneider/. Bill Schneider, “Obama Toes the Red Line in Syria,” Huffington Post, April 26, 2013, http://www.huffingtonpost.com/bill-schneider/obama-toes-the-red-line-i_b_3165908.html. Bill Schneider, “Obama's Cautiousness to Engage in Global Hotspots Emboldening Aggressors,” Huffington Post, September 2, 2014, http://www.huffingtonpost.com/bill-schneider/obamas-cautiousness-to-en_b_5753018.html. Bill Schneider, “If U.S. joins Islamic State fight, how will it get out?” Reuters, September 10, 2014, http://blogs.reuters.com/great-debate/2014/09/10/obama-needs-to-explain-exit-strategy-for-islamic-state-fight/. Bill Schneider, “Obama Toes the Red Line in Syria,” Huffington Post, April 26, 2013, http://www.huffingtonpost.com/bill-schneider/obama-toes-the-red-line-i_b_3165908.html; Bill Scheinder, “Americans Tire of 'World Police' Role,” Huffington Post, September 9, 2013, http://www.huffingtonpost.com/bill-schneider/americans-tire-of-world-p_b_3894020.html. Bill Schneider, “Obama Pilots Drone Policy Through Political Headwinds,” Huffington Post, May 28, 2013, http://www.huffingtonpost.com/bill-schneider/obama-pilots-drone-policy_b_3345921.html. National Committee for Responsive Philanthropy, "Marketing and Communications Efforts,” July 1997, https://web.archive.org/web/20070817213602/http://www.mediatransparency.org/conservativephilanthropy.php?conservativePhilanthropyPageID=12. AEI, “Books: The Confidence Gap,” http://www.aei.org/book/politics-and-public-opinion/elections/the-confidence-gap/.